A friend was kind enough to let me have a Hearthstone beta key so I've been playing this yesterday and today. It's a very fun and original take on a collectible card game. It has a lot of tactics to it and I'm really enjoying it. The game works by offering a balance between modes : you can either play with constructed decks that you make from your collection that reward gold or you can play an arena mode which costs you gold but builds your collection. The arena is probably the playstyle that most players will prefer, with constructed being seen to some extent as a grind you have to do to pay for it. That said, playing constructed games is hardly monotonous, it just doesn't have the rewards of the other mode. It costs 150 gold to enter but rewards you with gold, cards and crafting dust proportionate to how successful your arena run is. If your record is better than 6-3 you'll usually cover the entrance fee with change, plus a pack of cards and maybe some crafting dust. Setting aside the rewards both modes are just about evenly fun in my opinion. In crafted you have the process of creating and designing your own deck and of course the more cards you collect the more choice you have, to some extent the more power. In arena it's nice because the card choosing is pretty fun then you play everyone on a level playing field, determined by luck and skill, not the size of one's collection. I started out doing the tutorial then some of the practice games against the AI. After a bit I decided I might as well play people and managed to go up several rankings even though I hadn't worked out how to unlock deck-building and was just using the starter decks. (You have to unlock every character class to construct decks and play arena games). There's a bunch of rewards for doing various quests and I managed to get to 450 gold from doing that. Then I went into the arena. You get a free go, the gold from newbie quests covers and 3 goes, and some good runs paid for some more. My best run was 8-3, most of my runs were 2-3 or 4-3. I'm pretty average starting out, by the relatively high standards of arena. It's a ton of fun because there's so much to think about, without it being in any way hard to start. I don't think Blizzard have ever been so successful at achieving a game that is easy to play, hard to master. Next up on my whistlestop tour of old favourites is Everquest 2. EQ2 has changed a lot for a non-paying player. It used to be that half your bags would be redded out, inaccessible and the good drops cost you $1.50 to equip. It was offputting and you were put firmly in place as a second class citizen. That's all gone now, paying gives you the ability to sell on the Auction House and a small movement and cash buff. Leveling feels distinctly quiet but not much more so that WoW. On the plus side it means one can collect lots of lucrative shinies. then perhaps melee and more dots and nukes. He really is that strong, I'm regularly seeing numbers like 15k fly up when he fights - my best attack is 4k. Now this is where I feel I should moan about dumbing down but in truth I kinda like it like this. The appeal of EQ2 for me is that it's a game where I don't socialise at all and just entertain myself by watching the numbers creep along and looking at the pretty monsters. I also used some Station Cash to buy myself a level 85. A Wizard in fact, with one of these super strong tank mercs. He's pretty good fun in a press button collect loot kind of way. EQ2 for me is a game of alts and it does alting better than wow. The crafting is useful and much more fun than WoW's. Also once a crafter hits max level all the other characters on the account get a permanent 20% exp buff (similarly with adventure exp although I haven't got an adventurer up to max level yet). All the alts accumulate rest exp which is triple exp while it lasts and it lasts several levels. At the moment I'm taking it in turns to play them all slowly burning down the ridiculous quantities of rest exp that have built up in the year since I last played. I also have made myself a private guild just for me and my alts which I'm slowly pushing up towards the level when I can get a guild hall. If you are looking for a MMO and want something along the lines of WoW I'd recommend EQ2 very strongly. It's never been more enjoyable and accessible. I've been feeling some pre-patch burnout in Eve so I've had a little look at several other games. WoW offers a free 10 day trial to former players so I activated that made a Panda Monk and played for a while. The Pandas aren't as cringeworthy as I thought they would be. The intro movie features a badass mean kung fu panda ambushing a member of the Horde and the Alliance and taking them both on. He sticks to the shadows and has glowy red eyes. In game the asian themed starter area is rather charming with well-designed quests and a nice story. It takes you to level 10 after which new expansion content is off the table until high level (85? 90?). Leveling up is speeded to such an extent that there's a real problem with quests going grey. I guess the style is to go to an area, do a handful of quests, a few dungeon runs, then delete all your quests and try a different area. They've considerably streamlined the quests. Dungeon quest givers now stand at the entrance to the dungeon and the magnificent and confusing sprawl of some of the leveling areas like the Barrens have been drastically cut down and made easier to zip through without getting lost. The economy is inflated out of all proportion to the starter areas. I think I had about 80 silver and I went to the auction house to see if there were any cheap bags. The cheapest was 55 gold. I knew enough though to pick two gathering professions and my light leather and peacebloom sells at the same ludicrious prices. Overall the game didn't feel very changed since the last time I got bored of it. It's still a very very solid MMO and stands up well to most newer rivals. 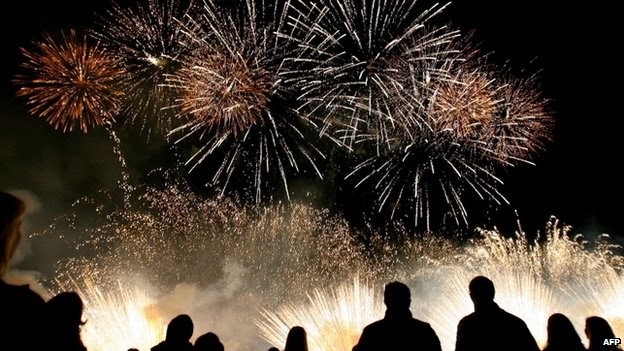 It's Guy Fawkes' Night in England, a traditional night of celebration when we let off fireworks and light bonfires. It commemorates an attempt in 1605 to blow up our houses of parliament when our King was addressing it. It's a somewhat ambiguous celebration. Originally the celebration was ordered to celebrate the escape of the King from assassination but over time Guy has attracted more and more sympathy and many modern English people see the festivities as an anarchist celebration that someone had the balls to have a go at our rulers. 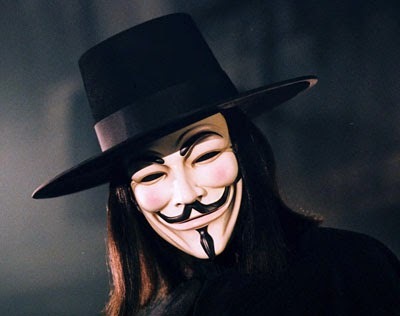 Guido Fawkes: Hero or villain? It got me thinking about why I quite like the idea of someone taking on our ruling government (in a somewhat abstract and sentimental way, in a real situation murder of our MPs and monarch would almost certainly see a military coup followed by a police state with people like me rounded up merely for mentioning the A word); why I like the notion of someone challenging government but I'm less happy with the notion of players challenging CCP. There's a spectrum. At one end there's the state with its surveillance, military and police forces, rule of law, legislative powers, taxes. At the other end there's the person with whatever rights and freedoms we and our ancestors have managed to wrestle for ourselves. Because the state is so materially powerful it's important to limit the state's power and challenge it when it attempts to increase its reach. Because an individual is so powerless it's important that we defend the rights of other individuals to pursue their lives and business as they wish. What about a company? Is a company a monolithic overmind that needs to be reigned back or is it a small frail entity that should be free to pursue its own direction without excessive criticism complaint and customer-organised direct action? CCP is even wierder because there's the real/virtual split - in the game universe they have divine powers, conjuring anything they wish, banishing anyone from the universe they choose. But in the real world they're a small/medium business with a not particularly solid financial footing dependent on enthusiasm of hardworking and underpaid staff. And that's why I'm uncomfortable with the level of player rebellion that's become normal in the Eve universe. Take, to pick an obvious example, CCP Fozzie. My impression is that in addition to doing a normal working day he's highly active on the CCP forums, on other areas of the Eve community like Reddit and Twitter, works longer hours than he's required to, and when he's not working he plays Eve or talks about Eve. To my amusement at a recent SCL even on the day when he wasn't scheduled to be there he was crawling under the desk fixing tech stuff. He even contacted a fan podcast recently and asked to appear so that he could correct a misunderstanding. The man eats lives and breathes Eve. And he's not unusual - many people in CCP work hard and turn up to events and fanmeets outside their official work time. The games industry pays its people low compared to what people of their skills would get in mainstream businesses. Pays them low and works them hard. They run on enthusiasm, on passion for the hobby-turned-job. Do we want to beat the enthusiasm out of Fozzie and his colleagues? I don't have simple answers because it's a complex problem. TAGN made the very good point in comments on an earlier post of mine that Monoclegate wasn't simply about monocles, it was also a protest about the direction Eve was taking (off spaceships and towards walking in stations). Most Eve players are pretty glad they righted the ship so to speak, doing a lot more space focused game development, such as ship rebalancing and CCP Seagull's awesome space colonisation master plan. But Monoclegate was also a crisis that revealed the company as horribly financially overextended, drove away a chunk of the playerbase and led directly to the laying off of 200 staff. Not many small businesses survive that kind of crisis. The company could have died. THE COMPANY COULD HAVE DIED. Do I hate walking in stations so much that I'd rather have no Eve than the Eve we would have gotten had they stayed on the Incarna track? No, I certainly don't. And if Eve does ever close down some day I think the unmanageable rebelliousness of the community may have something to do with it. Especially if it continues to escalate as players perceive they get rewarded for making ultimatums and protests and incorporate such behaviour into the Eve metagame, a way to win against rival players. Be careful on Fireworks Night. Sometimes people have an accident with the fireworks and get very badly burned. News broke a few hours ago of a new major sov war in nullsec. A coalition of Black Legion, SOLAR and the DnD/-A- bloc (Stainwagon) has declared war on N3. The front line initially appears to be Catch/Immensea. PL and N3 reacted to this news by attacking the -A- staging system at GE- and placing Sovereignty Blockade Units (SBUs). There are already 3 pages of kills in GE-8JV for November and PL/N3 seem to be winning. The timing of the announcement was odd, BL declaring war at 1.00 when all his Russian allies were in bed. The station is shield reinforced. The conflict is covered on TMC by Angry Moustache. First blood - a bold strike deep into Catch aimed at taking -A-'s staging system. The big question is whether and when the CFC might get involved. Let's look at the background. There's considerable rivalry between Black Legion and Pandemic Legion. Their roots as sovless mercenary/moon goo alliances, a vivid forum rivalry at Kugutsumen and a number of notable fights, including the killing of a Revenant supercap owned by PL by BL using a spy alt to set up the fight and recently the dunking of 26 BL supercaps after PL's Makalu Zarya faked getting his titan tackled. There's an undying commitment by SOLAR to the drone regions underscored by the deadzoning of the R3PO station. This innovative tactic by PL has permanently trapped a large amount of SOLAR assets in their former staging system by use of a dummy alliance that denies docking to everyone. -A- has something of a grudge too after PL spearheaded the HBC thrust into the South last year. It also looks like some minor players may be involved - The Initiative, Walltreipers and Pizza are on the SOLAR blue list now. So while there is good grounds for a war what is less clear is why there should be a war just at this moment. BL just lost 26 supers, a hell of a dent in their power. -A- and DnD have spent the last several months fighting their way out of Stain. Pandemic Legion is traditionally strong at this time of year after a lethargic summer (at least in sov terms - they won the Alliance Tournament) and N3 have had a long time to store up cash reserves. On the other hand the aggressors don't have readily conquerable sov at stake. Sure -A- could be forced out of Catch and back to Stain but they've shown time and again an ability to bounce back from that. Both BL and SOLAR have no sov except some renter space in Querious and a station or two up in CFC-dominated space. They may simply want to fight and don't mind risking their empires such as they are. Or they could be hoping the CFC takes their side. The tripod is not a particularly stable structure. Power in nullsec is divided up between N3/PL in the East, CFC in the West and the Russians in the South. By committing to a fight BL is effectively inviting the CFC to play kingmaker. Of course with GE- already SBUed and the station reinforced we could see a staging system conquered and deadzoned while the CFC is still making up its mind. It's entirely possible of course that the CFC will decline this invitation. It will be attractive to allow their rivals to deplete their warchests while they grow rich. I imagine the CFC will be divided on this issue with their finance people wanting to sit it out, at least for a while, while their hawks want to dive in and conquer. With a new expansion only 16 days away this couldn't have been timed better for CCP - nullsec becoming interesting just as they launch an Expansion which may substantially change the feel of Eve war.